One of the best and the most popular jobs that teenagers like to get into are lifeguard positions on pools, beaches, or gyms. Most people think that it may be a difficult thing to get into, but frankly speaking it is not as hard as it seems. It follows a simple process. 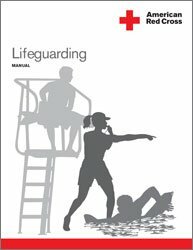 All lifeguards need to go through standard lifeguard training programs, which are typically offered by local agencies or large pools. You can even find such training programs being offered on some of the most popular beaches. Once you make up your mind to undergo lifeguard training, you would require passing a couple of tests to be approved by pools before they hire you for the lifeguard job. These tests determine your level of ability to become a good lifeguard. What is the job of a lifeguard? The answer is simple – to save lives. It is a sacred profession, like a doctor or a nurse – because they are trained to be life saviors. Therefore, it is important that if you want to be hired as a lifeguard, you must be able to handle your job well. You would have to protect children, the young and the old, who swim at lakes, oceans, seas and pools. Are you ready for this? In order to find an answer to this question, read on. The first and the most important requirement is your eligibility of age. You need to be at least 15 years of age. In case, you are working at a wave-heavy beach or a well established resort, then you should not be younger than 18 years at least. In very rare case, a lifeguard has to be 21. The next thing to be done is to get a certificate from your doctor, approving that you are physically fit for the job of a lifeguard. This is an important requirement because unless and until you are not physically and medically fit for the job, you cannot become a fine lifeguard. And this has to be done every year so that your physical fitness is assured. Thirdly, you need to be able to be a good swimmer – obviously! Swimming the length of the pool is not enough, you would also need to be in proper form and have a good leg kick. You also need to develop stable breathing inside water. When you are swimming in pools or in the ocean, you would have to swim two to four laps continuously. Thus, you really need to be trained for this. Here comes the most important point of the article – you need to be a trained lifeguard if you want to take this up as a profession. For this, you have to undergo a lifeguard training. The training helps you become a better swimmer and understand the duties and responsibilities of a lifeguard properly, because after all it is not just about being a better swimmer. There are loads of things that you should learn to do if you want to be a good lifeguard. The lifeguard training teaches you essential skills like carrying a weight of at least 40 pounds while you are in the water and walking the length of pool. This training is given so that you are able to save the lives of those swimmers who are bigger than you and are in trouble. We wish you all the best in your quest of becoming a good lifeguard!